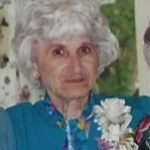 PRESCOTT: Mary Ann Prescott, 91 of New London entered eternal life on March 29, 2019. 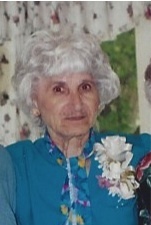 She was born June 2, 1927 in New London the daughter of the late Giuseppe and Maria (Alfiero) DeNoia. A life long resident of New London, Mary was, employed for Sears for over 25 years and a communicant of St. Mary Star of the Sea Church. She is survived by her two children, Joseph Prescott of Fl, Patricia Tagliavini of Ma., and a granddaughter, Leah Calvieri of MA. She was predeceased by a son, Kenneth Prescott, and five siblings, Vito, Jasper and Michael DeNoia, Rosalie Bergeson and Connie Rice. Her family will receive relatives and friends on Wednesday morning from 10 to 11 am at the Impellitteri-Malia Funeral Home, 84 Montauk Ave., New London, with a prayer service, followed by interment in St. Mary Cemetery, New London.